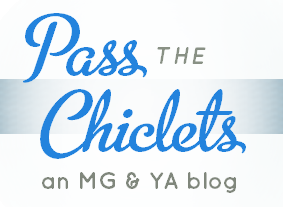 Not only is Linna one of the most eloquently wise people I know (seriously, check out her blog & discussion posts on middle-grade), she also always tells it like it is. And today, she's recommending Liar & Spy by Rebecca Stead! Welcome, Linna! 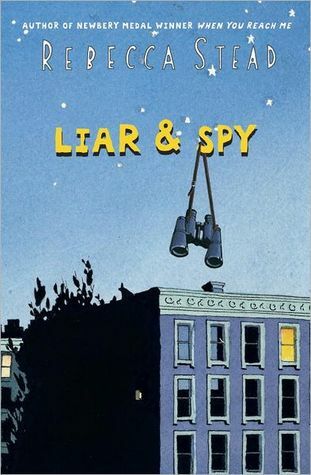 "Nothing makes me warm up to a book more than a sense of empathy for the narrator (and an oddball cast of characters, and a perfect sense of humor, all of which Liar & Spy has in spades, but I digress). Georges (yes, with an 's') has enough to worry about without having the kind of name that inexplicably makes him a target to get picked on. Maybe that's what draws him to Safer, a strange kid in his new apartment complex that he meets after inadvertently joining his spy club. It's a simple story about friendship, more straightforward than When You Reach Me, but that focus on people over plot is a different kind of wonderful. I loved almost every character, no matter how small of a role they played - in a book so short, even a single line of dialogue had so much to say about someone's personality. Most of all, I loved it for its humor. Georges' only-sane-man narration and frank wit, small quips between siblings and teachers and neighbors, all this sense of history between the cast - it's like taking a peek at the goings-on in their lives, and being left with the feeling that it'll all continue even after turning the last page. I only wish that the book wasn't so short - the ending feels rushed, and there were so many more hints of depth to characters that weren't fully explored." I admit that I didn't like When You Reach Me, but hearing that this is more character-based, I think I'm going to pick it up! Plus, I'm always up for a good MG... especially when recommended from Linna. :) Have you read this one? Will you try it with me?